The Super-Middleweight clash between current unified WBA/IBO/WBC Middleweight world champion Saul “Canelo” Alvarez and top Super-Middleweight contender Rocky Fielding had all the makings of a big event. One of Boxing’s biggest stars stepping into the ring to compete alone will draw attention, but the added elements of that star moving up in weight to test the waters in a new weight class as well as where this fight took place made for a special night of Boxing. Off of a landmark $365 million dollar broadcast deal with digital sports streaming network DAZN, Saul Alvarez would not re-enter the ring after becoming a Middleweight world champion for the second time in September in a venue in Las Vegas as has been the norm for many of his recent bouts, but would instead take place in a historic venue rich in Boxing history. Alvarez would make his Super-Middleweight debut in the venue rightfully regarded as “The Mecca Of Boxing.” Madison Square Garden in New York City, NY. When Alvarez entered The Garden ring on December 15th to face top Super-Middleweight contender Rocky Fielding it appeared on paper that it could be a difficult task for the current Middleweight world champion to combat. After all, it is worth remembering that Alvarez began his career as a 140lb. Jr. Welterweight and first became a world champion as a 154lb. Jr. Middleweight. This fight would be nearly thirty pounds up the weight scale from where Alvarez made his professional debut in 2005, the 168lb. Super-Middleweight division. An illustration of how the physics did not necessarily favor Alvarez going into this encounter could be seen in the tale of the tape as he was five inches shorter than Fielding and was also giving up five inches in reach to his opponent. While not always an accurate illustration of what will happen when two fighters square off inside the ring, it does more often than not play a role in at minimum showing the task before the fighter who is at the height and reach disadvantage. Despite the disadvantages that Alvarez had to contend with as well as facing a naturally bigger man, a great fighter more often than not will find a way to combat the challenge. Two things were immediately apparent in this fight. Alvarez knew how to implement the strategy for facing a taller and naturally bigger opponent, and Fielding did not know how to make use of the physical advantages he had going into the fight. Alvarez immediately got on the inside of Fielding and pounded away at his body scoring four knockdowns over three one-sided rounds to earn a stoppage in the third round. The fight did not live up to what became an event, but the event itself did mark a continuing shift for the sport as Alvarez, one of Boxing’s top pay-per-view draws officially stepped away from the realm of traditional television and pay-per-view and into the future of Over The Top (OTT) digital distribution in what was the first fight in his five year, eleven bout agreement with the DAZN digital sports streaming network. This of course comes from the source of the disgruntled fan who more often than not are very difficult to please in today’s age of social media. It was clear that the fight between Alvarez and Rocky Fielding was one between a world-class fighter in Fielding stepping up not in weight class, but in class of opposition by facing an elite level fighter in Saul Alvarez. While at the end of the day, it proved to be a mis-match, Fielding did get in there with one of the best fighters in the world and continued getting up when knocked down, despite being outclassed. What I would like to remind folks who shared a common accusation of those who are disgruntled that prior to 2018, a year that has seen the inception of low cost digital subscription streaming sports networks like DAZN and ESPN+ that a fight featuring a fighter who is not only regarded as one of the top boxers in the sport, but also a top draw would have been one that would have been offered via traditional cable/satellite pay-per-view where similar fights would have been changed to the consumer for $70+. Although this was a one-sided fight that left some unsatisfied, it was offered to consumers at a more economically sensible price as part of a monthly subscription plan and offered more content than what is normally offered on traditional mediums. While this is in no way meant to put down the Boxing fan, who may feel dissatisfied with what might have been their first exposure to the sport delivered via Over The Top (OTT) digital distribution, it does leave a sense that no matter what a fighter, a promoter, or a network does or offers there will always be a segment of the audience who will not be satisfied. Although it may present what some might see as a “No-Win” scenario, it does underscore the importance that all involved strive to make the best fights possible for the fan/consumer. With that in mind, an obvious question that yours truly has pondered in the days since the fight has been what will Alvarez do next? To be more specific, not only who will he fight next, but in what weight class will that fight take place? Given Alvarez’ new agreement with DAZN, there may be no shortage of interesting options in either the 160lb. Middleweight division or the 168lb. Super- Middleweight division. This is obviously due to the influx of talent that is available in both weight classes featuring fighters who have regularly been competing on DAZN cards since its launch here in the United States in September or will be doing so in 2019. An obvious question that most fans and experts alike are asking is whether or not a third encounter between Alvarez and Gennady Golovkin is a potential option. In the eyes of this observer, there is no clear answer as of this writing as to whether or not a third fight between the two will take place in the near future. This is because as of this writing Gennady Golovkin has not formally announced where he will sign as far as his future in terms of what network/platform will televise his fights in the near future following HBO’s recent decision to step out of the Boxing business after forty-five years. As many know, both Golovkin and Alvarez were under contract to HBO, but each of their respective deals with the network concluded after their second fight making both free agents as far as television networks were concerned. With Alvarez now signed to DAZN the question of whether a third fight between the two will take place will likely come down to what network/platform Golovkin chooses to sign with. In my opinion, I think the question really should be not if, but when a third fight between the two takes place. It is of course the fighter’s decision, in this case Golovkin’s, to decide what is best for him at this stage of his career. 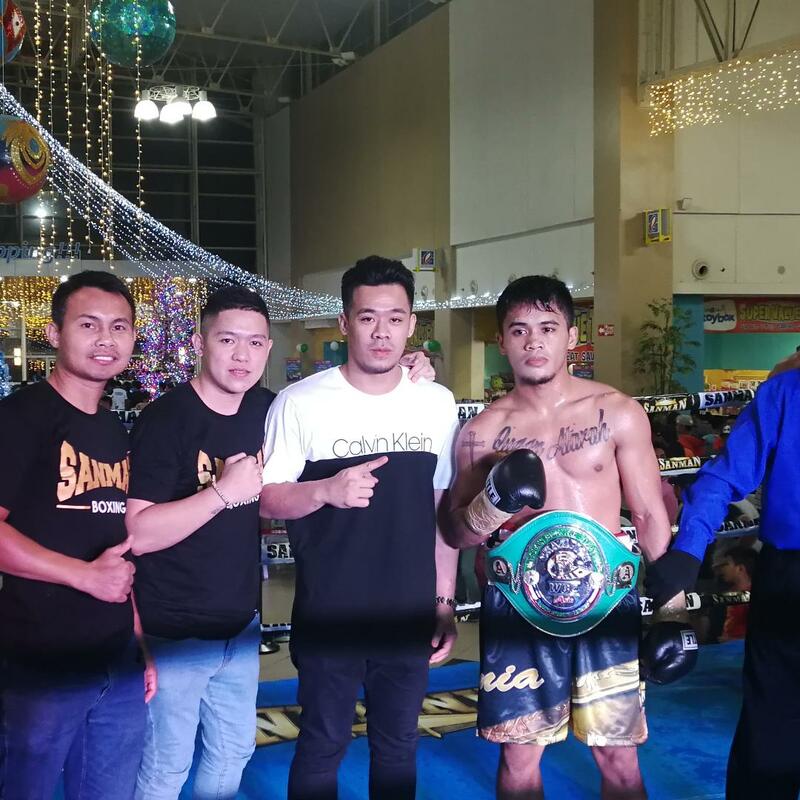 After two hotly contested battles with Alvarez that each ended with elements of controversy as far as the scoring of those fights and opinion among both fans and experts as to who won those fights, a third encounter remains warranted. Until Golovkin makes his decision public, there are other options that should be considered for Alvarez. The two obvious options in my mind would be a unification bout with recently crowned IBF Middleweight world champion Daniel Jacobs at Middleweight or to face WBA Super-Middleweight world champion Callum Smith if Alvarez wants to stay at 168lbs. A fight with each of those champions would provide an interesting challenge for Alvarez and in terms of a potential fight with Smith, Alvarez did earn interim/regular champion status in the WBA’s Super-Middleweight ratings with his win over Rocky Fielding, which essentially makes him the number one contender for Smith’s world championship. Both of these options may indeed be logical due to both of those fighters being promoted by Eddie Hearn, who also promotes Rocky Fielding and who also has a deal with DAZN. While the idea of fights being easy to make can be and often times is wishful thinking, it does give the appearance that a fight with either Jacobs or Smith would be perhaps easier to make as there are no contracts between competing networks/platforms that would potentially interfere in a fight being finalized. As readers may recall in my preview of Alvarez-Fielding, I stated that no matter what happened in the ring on December 15th that it would be a win for the sport. While there may be some who remain critical not only of the fight itself, but more specifically the direction that the sport is going in terms of OTT/streaming options over traditional television and pay-per-view, it was indeed a win that Boxing fans should celebrate. How DAZN, Alvarez, and the respective promoters that are involved will follow that win remains to be seen. We would like to let our readers know that new material will be released on Thursday, December 20th. Stay tuned. "And That's The Boxing Truth." 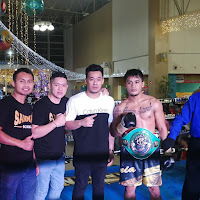 Press Release: December 15, 2018 By Sanman Promotions – The Year 2019 will start with a big bang for Sanman Promotions trio Romero “Ruthless” Duno, Reymart “Assassin” Gaballo and “Magic” Mike Plania. 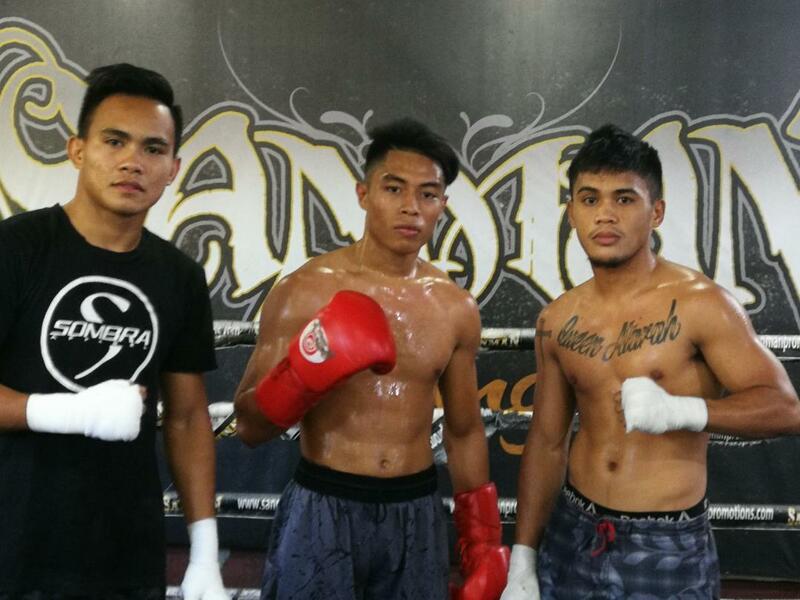 The elite boxers of the country’s busiest boxing stable are preparing for big fights early next year. The official weigh-in for Saturday's Super-Middleweight clash between current unified Middleweight world champion Saul "Canelo" Alvarez and top Super-Middleweight contender Rocky Fielding took place earlier today at Madison Square Garden in New York City, NY. The official weights for the entire card are as follows. Saul Alvarez 167 1/2lbs. vs. Rocky Fielding 167 3/4lbs. *Interim/Regular champion status in the WBA's Super-Middleweight ratings, a designation currently held by Fielding will be at stake in this bout. IBF Jr. Lightweight world championship - 12Rds. Tevin Farmer (Champion) 130lbs. vs. Francisco Fonseca (Challenger) 129 1/2lbs. Women's IBF/WBA Lightweight world championship - 10Rds. Katie Taylor (Champion) 134 1/2lbs. vs. Eva Wahlstrom (Challenger) 133 1/2lbs. Sadam Ali 147lbs. vs. Maurico Herrera 146lbs. Ryan Garcia 134 3/4lbs. vs. Braulio Rodriguez 133 1/2lbs. WBO International Jr. Welterweight championship - 10Rds. Lamont Roach (Champion) 129 1/2lbs. vs. Aberto Mercado 129 1/2lbs. Bilal Akkawy 167 1/2lbs. vs. Victor Fronseca 166 1/2lbs. Yves Ulysse 139lbs. vs. Maximilliano Becerra 139lbs. Two scheduled bouts, a Middleweight bout featuring former IBF Middleweight world champion David Lemieux vs. Tureano Johnson, and a Jr. Welterweight bout between Vergil Ortiz and Omar Tienda were both canceled by the New York State Athletic Commission. There is no word as of this writing regarding whether each of these bouts will be rescheduled for a later date. Alvarez vs. Fielding takes place on Saturday, December 15th at Madison Square Garden in New York City, NY. The card can be seen in its entirety on DAZN in the United States and select international countries beginning at 6PM ET/3PM PT and will also be available on demand. The DAZN digital streaming network is available for $9.99 per month. For more information on where DAZN is available, schedules, a list of available streaming devices to watch on both mobile devices and television, and to start your free 30-day trial please visit: www.dazn.com. In the United Kingdom and Ireland, the card can be seen on Sky Sports Main Event (Formerly Sky Sports 1) on Saturday, December 15th beginning at 11PM (Local UK Time.) For more information about Sky Sports, schedules and availability in your area please visit: www.SkySports.com. One of Boxing’s biggest stars Saul “Canelo” Alvarez will return to the ring on Saturday, December 15th as the two-division world champion will make his debut in the legendary Madison Square Garden in New York City, NY. The current WBA/IBO/WBC Middleweight world champion will be moving up in weight to the 168lb. Super-Middleweight division to face top contender Rocky Fielding in a fight scheduled for twelve rounds. In his last fight, Alvarez became a two-time Middleweight world champion by scoring a decision victory in his second encounter with previously undefeated longtime champion Gennady Golovkin in September of this year. The victory over Golovkin, a majority decision seen as controversial by some followed a controversial draw in their first meeting in September 2017. Two encounters between two of the sport’s top stars that have left both fans and experts wanting more. A third fight between the two however, will have to wait as Alvarez will attempt to test the waters in a new weight class. The opposition for Alvarez in his first fight as a Super-Middleweight will be top contender Rocky Fielding. Fielding, who will enter the fight with a record of 27-1, with 15 Knockouts and is riding a six fight winning streak. The native of Liverpool, England is a former British, English, and Commonwealth Super-Middleweight champion who will be fighting in the United States for the first time. Fielding currently holds interim/regular champion status in the World Boxing Association (WBA) Super-Middleweight ratings a designation he earned in his last fight when be stopped Tyron Zeuge in five rounds in July of this year. Although Alvarez, who will enter the fight with more experience both in terms of competing on the elite level of the sport and in terms of overall career experience coming into the fight with a record of 50-1-2, with 34 Knockouts as compared to Fielding, the questions prior to this fight will largely center on Alvarez. Among those questions is the obvious of how he will respond to being hit by a natural Super-Middleweight who is bigger than him and will have a reach advantage over him as well. 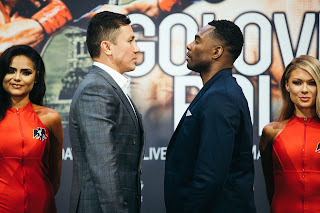 There is the equally obvious question of what effect did going twenty-four combined rounds over two consecutive fights with Gennady Golovkin have on Alvarez both from a physical standpoint as well as mentally that Alvarez will have to answer. There is no disputing despite the impressive record that Rocky Fielding has compiled that this will be a significant step up in the caliber of opposition for him in what is the biggest fight of his career. When this fight was announced, there were some who were critical of Fielding being Alvarez' opponent based largely on the fact that he has never fought outside of Europe as well as what happened in his one career defeat. In November 2015, Fielding suffered a first round knockout loss to Callum Smith, the recently crowned WBA Super-Middleweight world champion and winner of the recent World Boxing Super Series Super-Middleweight tournament. Although it is easy especially in an age where the sport is a consistent topic of discussion thanks to social media for a fighter to be labeled off of one fight, it was just that one fight and in fairness to Fielding he has been undefeated since that loss three years ago. To Fielding’s credit, in addition to being unbeaten in six bouts since that loss, Fielding has worked his way into holding interim/regular champion status in the WBA ratings, which essentially means he is the current number one contender for the WBA world championship. A victory over a fighter of Alvarez’ stature would obviously open the potential of a rematch between Smith and Fielding. Whether or not Fielding, who will enter the fight as an underdog will be able to pull off a victory remains to be seen. From a stylistic standpoint, this figures to be a battle between two boxer/punchers. It is crucial in the opinion of this observer that Fielding attempt to impose his will and get the respect of Alvarez from the outset. He is the bigger man and in order to be successful in this fight he must dictate how the fight is fought and not allow Alvarez to get into a consistent rhythm. As a fighter who is moving up in weight Alvarez will likely look to make use of the ring by establishing himself as an elusive target by using lateral movement. If this is Alvarez’ approach the intent will likely be to make Fielding work to find a way to land his offense on him consistently by giving him angles and looking to out box him over the course of the fight. Alvarez is the type of fighter who is capable of scoring knockouts at any point in a fight and it is logical that he might look to tire Fielding early and attempt to step up his offense as the bout progresses into the middle and late rounds. Alvarez must keep in mind that he is the fighter moving up in weight and despite Fielding being stopped early once in his career, he must not assume that his punching power that has been there at lower weights will have the same effect at 168lbs. against a natural Super-Middleweight. This fight also marks a significant shift in terms of how a card headlined by a bout featuring a top star in the sport is offered to the public. Saul Alvarez, who has been a top pay-per-view draw for several years becomes part of a growing list of fighters including undefeated unified Heavyweight world champion Anthony Joshua to step away from traditional television by stepping into the future. The Alvarez-Fielding card will not be on pay-per-view and will not be offered to the public at an expensive price. As some may know, Alvarez recently signed a landmark $365 million dollar contract which will include his next eleven fights beginning with his bout with Rocky Fielding with DAZN, the digital streaming network. For Boxing fans this means that they will no longer be asked to pay an ever-increasing pay-per-view fee to watch Alvarez compete, but will get access to full cards including those featuring Alvarez both live and on-demand for the economically reasonable price of $9.99 per month. For readers and those who follow this observer across several social media platforms, it is no secret that I have been very vocal in recent years regarding the growth of Over The Top (OTT) digital distribution as a model of which television is increasingly being consumed over traditional cable and satellite pay television and my stance that Boxing as a whole needed to adapt to the changing landscape. It is also no secret that I have called the traditional pay-per-view model overpriced and undervalued in terms of what consumers are asked to pay on a per event basis and the amount of content offered for the price. One of the biggest stories of 2018 in not just Boxing, but all of sports has been the inception of digital sports streaming services ESPN+ and DAZN. What this has meant for Boxing has been a shift away from traditional television mediums offering consumers considerably more content for reasonable monthly subscription prices. It has also signaled a gradual transition for Boxing's marquee stars away from the pay-per-view model. While pay-per-view still does exist and will continue to do so for the foreseeable future, it is a medium that over time will continue to decline as more consumers look to transition away from cable/satellite pay television and to OTT streaming. 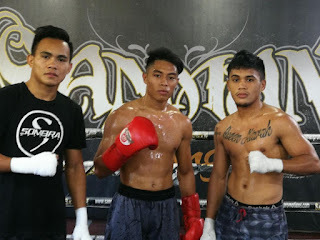 With stars like Alvarez and Joshua being among those leading the way, it should be an indicator to those in the sport who remain skeptical that they do not need the traditional pay-per-view model to earn lucrative revenue and for the fighters in the sport, lucrative paydays. While the topic of OTT digital distribution will remain a topic of discussion of yours truly that will continue to be featured here at The Boxing Truth®, I am pleased to see the emergence of a new era in the sport of Boxing. As DAZN prepares for one of their biggest events to date since expanding into the United States in September of this year, it is my hope that the skeptics that remain reluctant to embrace where not only Boxing, but really all of television is heading toward will test the waters and step into the future. If the Alvarez-Fielding bout turns out to be viewed as a memorable fight in the rich history of Boxing in Madison Square Garden, it should be considered a win for the sport and its fans. For a sport that is a subject of ridicule and criticism on a regular basis, no matter what happens in the ring where Boxing is heading is a good direction. Why not embrace the good that the sport has to offer? "And That's The Boxing Truth." We would like to let our readers know that a preview of the upcoming Super-Middleweight clash between current WBC/WBA/IBO Middleweight world champion Saul "Canelo" Alvarez and top Super-Middleweight contender Rocky Fielding is currently in the works and will be released on Wednesday, December 12th. Following the release of the preview, weigh-in information for the entire December 15th card will be released on Friday, December 14th. Stay tuned. "And That's The Boxing Truth." Wilder-Fury: The Fight, The Controversies, The Rematch? In the sport of Boxing there are few things that are quite like the anticipation prior to a fight for a World Heavyweight championship. When the fight features two undefeated fighters, who each have a claim to the championship, such anticipation can lead to a special event. The encounter between undefeated WBC Heavyweight world champion Deontay Wilder and undefeated former IBF/WBO/WBA/IBO Heavyweight world champion Tyson Fury was one such occasion. An encounter between a fighter known as a “Knockout Artist” in Wilder, the longest current reigning world champion in the Heavyweight division and a man who had knocked out every opponent he had faced as a professional against a former world champion who relinquished his crown having not been defeated. The defining moment of Tyson Fury's career came when he scored his victory over longtime unified Heavyweight champion Wladimir Klitschko in November 2015 to win his crown. Fury’s reign however, was brief as struggles in his life outside the ring led to his relinquishing his crown and a hiatus from the sport that lasted nearly three years before his return in June of this year. Although Fury had fought twice prior to challenging Wilder in scoring victories over Sefer Seferi and Francesco Pianeta, he frankly did not face much resistance in those bouts and there were questions in this observer's mind as to whether he was ready to face a fighter such as Wilder. By the same token, Deontay Wilder has had to deal with an issue that follows most fighters that are regarded as “Knockout Artists.” Questions by some regarding the caliber of his opposition, which has led to criticism by some Boxing fans. The Staples Center in Los Angeles, CA served as the site of this encounter on December 1st. One that returned the Heavyweight division to a level of prominence here in the United States that had not been seen in well over a decade. Stylistically, this fight also presented the intrigue of a boxer/puncher in Fury against a fighter in Wilder known for his punching power, but someone who has Boxing ability of his own that in my view is underrated. When you are discussing a fight such as this one, the challenge can be to distinguish which fighter is the more effective of the two under circumstances where both boxers might have periods of success in a bout. In this fight much as was the case in Tyson Fury’s world championship victory over Wladimir Klitschko in 2015, I felt he was able to use his style, which at times can be awkward to dictate how the combat was fought. There were several instances throughout the fight where it appeared more noticeable what the normally offensive-minded champion was unable to do than necessarily one fighter being superior to the other. If the reader is confused and maybe even curious as to what I mean, let me elaborate. While a fight will almost always be highlighted by what a fighter does offensively, what can at times be overlooked and under appreciated particularly by fans is how well a fighter can execute a fight plan from a defensive standpoint. This was an encounter where a portion of the story depending on one’s interpretation was largely how Tyson Fury was able to use his height, faints, and awkwardness to make Deontay Wilder miss consistently with his offense. In fights where one fighter is able to do what Fury was able to do defensively, but there were also periods where the opponent, in this case Wilder, was able to have success offensively, it can come down to interpretation. To be more specific, the interpretation of the three people who are tasked with the responsibility of rendering a verdict as to who will win a fight should it go the distance, the three official judges. It goes without saying that there are several fights on every level of the sport that take place during a calendar year that are deemed “Close”, “Controversial”, and end up being a subject of debate among both fans and experts. With regard to the subject of the scoring of fights, that is one subject that perhaps gets more criticism than others. In this fight however, we had a mix of “Controversy” both in regard to the scoring of the bout, what some view as a “Controversy” in what took place in the latter stages of the fight, and healthy debate as to whether the fight was close and who won it. Where do we start? First, after taking some time to reflect in the week that has followed since the fight took place, this observer felt it would be appropriate to look at this fight from a different angle and not fill this column with a thorough round by round analysis of the fight as is usually the norm under circumstances such as this. Instead, I will offer my perspective on how I saw this encounter in summary form. Although it is tempting to assume when talking about a fight where one fighter has a career knockout percentage of over 90% and the other’s is nearing 70% that the fight will be all-action and likely to end in a knockout, this was more of a tactical Boxing match for the majority of the twelve round bout. As mentioned previously, I felt a portion of the story of this fight was how well Tyson Fury executed defensively and how he was able to evade Deontay Wilder’s offense for what seemed to be lengthy periods at times. Even though I felt Fury was overall the more effective and efficient fighter throughout, I do feel that there were rounds during the course of the fight that could have been scored either way based on not only Wilder’s overall aggression, but his effectiveness when he was able to land on Fury. As the fight progressed the question for me was whether Wilder did enough in those moments to win the fight on my scorecard. There were also two occurrences during this bout that also had an impact on the scoring of the fight and one instance where the topic of scoring nearly became a non-issue. The first of which took place in round nine when Wilder was able to score a knockdown of Fury. At this stage of the fight though not out of the fight in terms of scoring on my scorecard, I felt Wilder needed something significant to shift the momentum in his favor. Scoring a knockdown which narrowed the gap in terms of points in the fight appeared to be the shift he needed. In this observer’s view one knockdown would not be enough for Wilder to retain his world championship via decision, but it did succeed in narrowing the margin of Fury’s lead. In round twelve, Wilder nearly ended the fight with a combination to the head highlighted by a flush left hook that sent Fury down hard and on his back on the canvas. It appeared that Fury would be counted out, but he managed to beat the count and finish the fight. Before giving my final score, it cannot be ignored the possible “Controversy” that some fans have pointed to regarding the count of Referee Jack Reiss following the knockdown of Fury in round twelve. In the days following the fight, some have alleged that the count was long and that Fury was down for longer than what would be a count of ten, alleging that Wilder was “Robbed” of a knockout win. I have reviewed the footage and I did not notice the claims that some have made regarding the count. One thing that was noticeable however, which Referee Jack Reiss should be given credit for is after Fury got up from the knockdown, he did take a moment to evaluate Fury and make sure he was able to continue. All too often referees are criticized for a perceived willingness to stop fights quickly. What some may not understand is a referee’s primary responsibility in addition to making sure rules and regulations are followed is to look out for the safety of fighters. It is more often than not a judgment call and often puts a referee in a “No Win” situation because no matter what the decision of the referee might be under circumstances like what happened in the final round of this fight, there will be some who will feel it was the wrong decision. Nevertheless, it baffled yours truly that Fury was able to get up from that knockdown and finish the fight. Although I do not want to spend much time discussing the circumstances of the knockdown and the count in the final round of this fight, it is important to remember that a referee’s decision is a judgment call that is in the heat of the moment, a question should be asked. How many times have we whether fans or those of us who cover the sport criticized referees for allowing fights to go on longer than they should have where unfortunately the result is potential long-term damage to a fighter? While unrelated to this fight, it also should not be ignored what occurred earlier in the evening before Wilder and Fury stepped into the ring where long-reigning WBC Light-Heavyweight world champion Adonis Stevenson suffered a brutal knockout and the loss of his championship in the eleventh round of his title defense against undefeated top contender Oleksandr Gvozdyk in Quebec City, Canada in a fight that was televised prior to the Wilder-Fury pay-per-view broadcast by Showtime, who also did the Wilder-Fury pay-per-view broadcast in the United States. A barrage of punches by Gvozdyk sent Stevenson down and out in a corner of the ring. The bout was immediately stopped by Referee Michael Griffin without counting Stevenson. Despite the call by Griffin being appropriate, there has been criticism in the days since that fight. Some may be aware that Stevenson was hospitalized following the fight and remains hospitalized as of this writing after suffering what has been described in reports as traumatic brain injury, which has prompted some to either call for changes in the sport or an outright ban of it. Although the two fights are unrelated, it does show that sometimes no matter what the decision of a referee, there will be some who will take issue. In the case of the Stevenson-Gvozdyk fight, the call of Referee Michael Griffin was the right call to make, but unfortunately the knockout Stevenson suffered and the circumstances that have followed serve as a reminder of how dangerous combat sports can be and underscores the responsibility of referees to ensure that a fighter’s safety is the top priority. Tyson Fury showed tremendous heart by getting up from the knockdown. It should not be dismissed however, that it was a judgment call by Referee Jack Reiss to allow the fight continue, and perhaps a different referee under the same circumstances might have made a split-second call to stop the fight out of concern Fury’s safety. At the end of the twelve round bout, I ended up with a score of eight rounds to four for Fury or 116-112 in points. My score was largely based on Fury’s ability to evade Wilder’s offense for much of the fight and it got the benefit of doubt in some rounds that were close that could have been scored either way. Despite my scoring of this fight possibly giving the appearance of a lopsided fight, and acknowledging that without the two knockdowns against Fury in rounds nine and twelve, my scorecard would have been a wider margin in favor of Fury, round by round it was at times a difficult fight to score. The official result of the fight, a split decision draw has succeeded in what often follows a fight where there is a consensus opinion that the scoring was “Controversial” and accusations of possible corruption are made, “Debate.” While it can at times be tempting to rush with an opinion following a fight like this, there are times where this observer will take some time as I ended up doing in this case before writing a column about it. One reason for this is to allow myself a little time to think about and digest what I saw, to make sure my initial opinion remains, and to gage the opinion of readers and others who saw a fight. Immediately following Wilder-Fury, this observer launched a reader poll on Twitter asking who followers and other Twitter users felt won the fight. 78% of those who participated felt the same as yours truly that Fury won the fight, while 12% felt it was a draw, and 10% felt Wilder won it. As often happens after a fight like this many will react with great passion and anger at an official decision. There have been many times over the years where I have strongly disagreed with an official decision of three official judges and have voiced my opinion in various writings and other forms throughout my career. While I disagree with the official decision in this fight, I find myself not really questioning or feeling angry about a draw being rendered. While I feel Fury did enough to win this fight, it was an encounter that left plenty open to interpretation. It comes down not only as I have often said over the years what a judge prefers based on clean punching, effective aggressiveness, ring generalship, and defense, but also how a judge interprets what goes on in the ring. Obviously, the three official judges of this fight Alejandro Rochin, Robert Tapper, and Phil Edwards are the only ones who can comment on what they saw round by round and why they scored the way they did. It is not impossible to think that some rounds, which were close that yours truly scored for Fury might have been scored the other way and when you factor in the two knockdowns against Fury, it might have changed what could have been a decision victory for Fury on two of three official scorecards to a draw. Will there be a rematch? The World Boxing Council (WBC) announced on Friday December 7th that it had voted unanimously through its board of governors to mandate an immediate rematch between Wilder and Fury. It goes without saying that the sanctioning organizations that exist in Boxing including the WBC are often a source of much criticism and/or ridicule of fans and experts for some decisions they make with regard to policies, rankings, and other matters. The WBC made the right call in this observer’s eyes and it might be a question of whether or not a rematch will take place immediately. Now for those who might question why I said whether or not a rematch will take place immediately might be a question to be answered, it cannot be overlooked that the other world champion in the Heavyweight division undefeated IBF/WBA/IBO/WBO world champion Anthony Joshua currently has an open date in April of 2019 to defend his crown at Wembley Stadium in London, England. Although the WBC has mandated a rematch between Wilder and Fury take place, there is a possibility that Fury might be open to facing Joshua next if an offer for that fight is made and then fighting Wilder a second time, which if he defeated Joshua would make a rematch with Wilder for the Undisputed World Heavyweight championship, or that a negotiation process might take place involving the WBC that might see Wilder face Joshua to fully unify the division, which if it happens would be the first unification bout to determine an Undisputed world champion in the division to take place in the United Kingdom. No matter what happens next, it is clear that the Heavyweight division will remain a hot topic of discussion and debate for the foreseeable future. Whether or not a rematch between Wilder and Fury will take place or even an Undisputed World Heavyweight champion will be determined in 2019 remains to be seen. We would like to let our readers know that material discussing the December 1st WBC World Heavyweight championship fight between undefeated champion Deontay Wilder and undefeated former Heavyweight world champion Tyson Fury is currently in the works and will be released here on the website on Saturday, December 8th Stay tuned. "And That's The Boxing Truth."